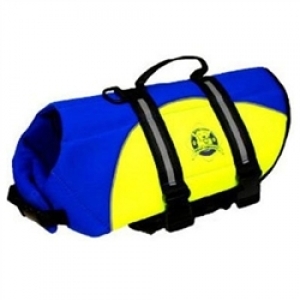 Ultimate safety for your pet while he/she are out in the water. Believe it or not, dogs also get tired while in the water. Your pet can be in and out of the water all day, while staying safe and comfortable- allowing you piece of mind while you're hanging out at the water. Doggy Life Jackets provide the ultimate buoyancy with a cozy secure fit and provides high visibility to keep pets safe. Features an advanced breathable mesh underbelly for proper draining and drying, which provides your dog more comfort and healthier conditions than traditional pet life jackets, which can cause exhaustion and chafing.